Dujiangyan Irrigation System lies on the Minjiang River in the northwest of Dujiangyan City. 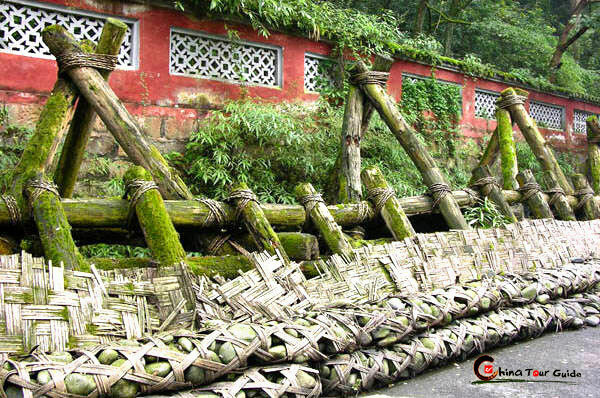 The origins of the Dujiangyan Irrigation System date back to over 2,200 years ago. Experts unanimously believe that the original theory used to design the Dujiangyan Dam came from experiences of the masses and that this theory was later enhanced by Li Bing, the local governor of Shu in Qin State. The people recognized some kind of irrigation system would have to be built, as at that time the Minjiang River running across the vast Chengdu Plain was quite dangerous and would harm people downriver. 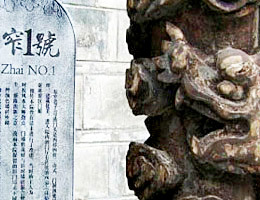 After making careful survey on the spot, Li Bing had a channel cut through Mount Yulei to the west of the city, thus a man-made river came into existence. In the middle of the Minjiang River, a dyke was built to divide the river into two parts: the inner river and the outer river. In order to control the flood and silt, two spillways were built at the end of the water-dividing dyke. Since that time this gravity irrigation system has helped make Chengdu Plain a "Land of Abundance", producing a bumper harvest every year even when droughts or floods wiped out the crops of nearby areas. 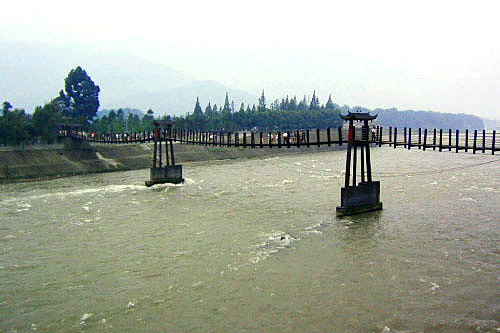 Dujiangyan irrigation system is on the Min river. 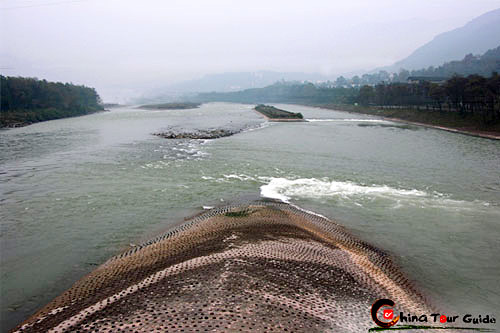 The dike of Min river on the Dujiangyan Irrigation System. 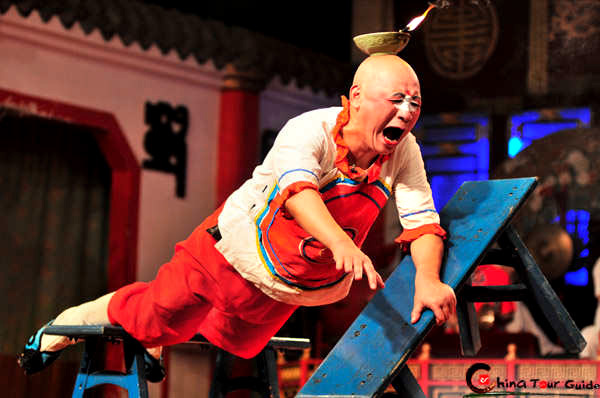 Li Bing has endured as one the most revered symbolic figures among the heroes harnessing floods in ancient Shu. Even now, centuries after the dam was constructed, Chinese people are still benefiting from the work and forethought of Li Bing and are enjoying a harmonious and happy life on this plain. 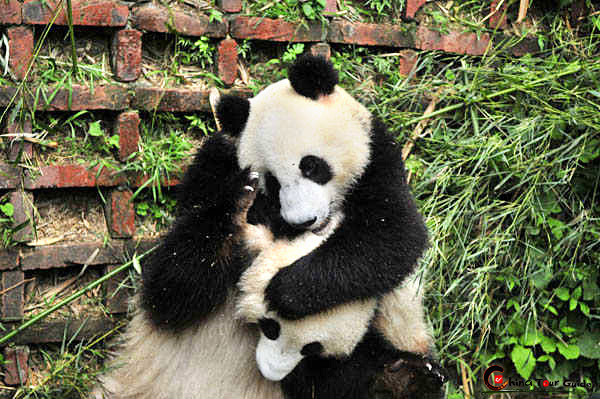 Today Dujiangyan is a major tourist attraction. The dam has received the admiration of scientists around the globe due to its ingenuous feature of letting a river's water go through naturally instead of blocking it with huge walls. The narrow bridge on the Min River. 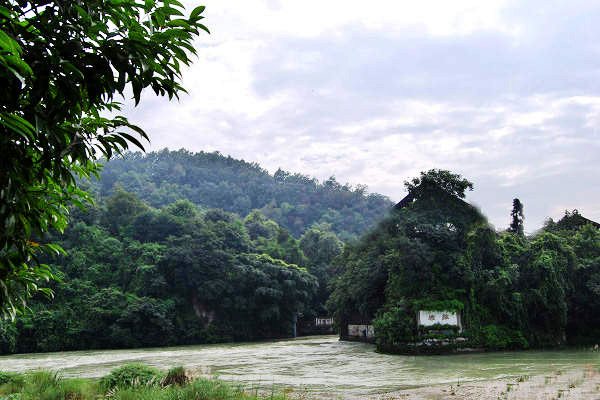 Dujiangyan is surrounded by thick forest.